I have been blessed to be a student of the late Mary Louise Kaleonahenahe Kekuewa and Paulette Nohealani Kahaleuna since 2003. Aunty Mary Lou was known as a master of feather artwork. Since her passing, her daughter Paulette has taken over the shop and continues to share her passion of feather artwork to those that inquire at their shop on Kapahulu on the island of O‘ahu. Every time I travel to Hawai‘i, I make a point to take at least one class at Na Lima Mili Hulu No‘eau. 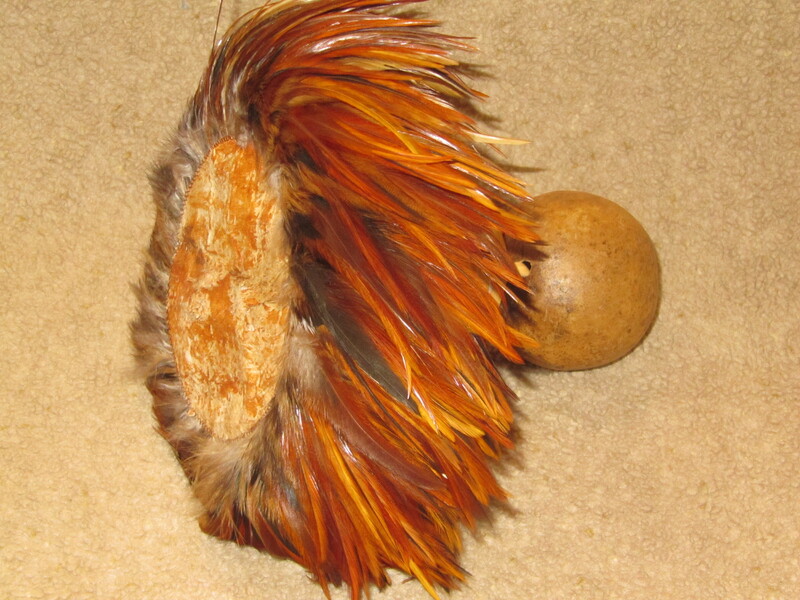 The first project that I finished was an ‘ulī‘ulī (a gourd rattle, containing seeds with colored feathers at the top, used for the hula ʻulīʻulī). Each feather is measured and hand cut to 4 inches. Once all the feathers are cut, each feather is hand stitched with four stitches to muslin fabric. Each feather is placed about 1/16th of an inch from the previous feather. 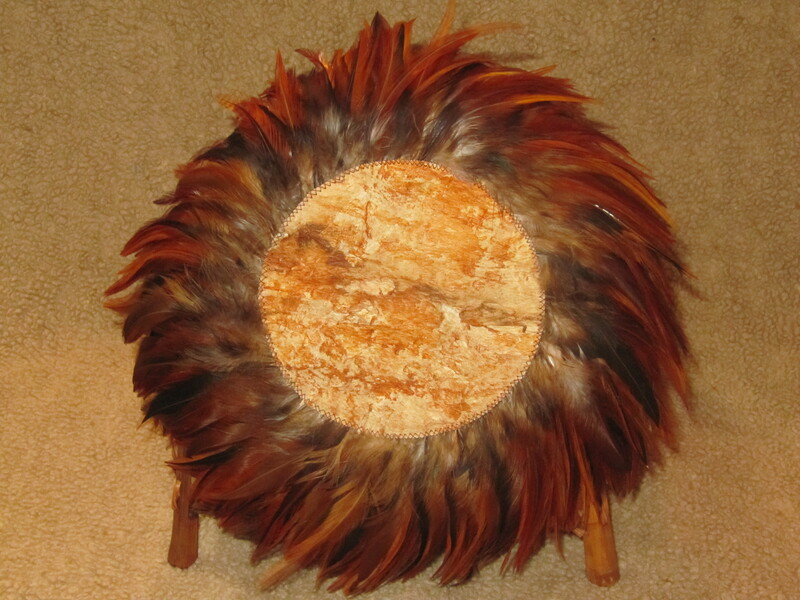 The ‘ulī‘ulī I made has two rows of stitched feathers and kapa in the center.